NICE - CRICUT EXPLORE AIR 2 (2003638) DIE CUTTING MACHINE - ALMOST NEW . This sale includes the Cricut machine, power adapter, and USB cable to plug into your computer. There is nothing else that is included in the sale. Includes Nova Exclusive 7 custom colors from Siser!!!!! Siser EasyWeed Iron On Heat Transfer Vinyl 15" - Mix it Up and Length Discounts! 500 stickers per roll,total1000 stickers=2 Rolls. Shape:Heart shaped & Round. Use on restaurant receipts, invoices, bills and special orders. Add a unique touch to special orders, gift boxes, restaurant receipts, party favors, bags and more. Cricut Explore Air 2 machine. Cricut 12 in. LightGrip cutting mat. 12 Sheets - Cricut removable vinyl. 4 Sheets - Cricut Foil Iron on HTV. 3 Sheets Cricut transfer tape. Cricut Design Space software & app. Guaranteed Delivery & Genuine Product / New Colors !!! -SISER STRETCH HTV/15" X 12" SHEET EasyWeed STRETCH HTV/FREE SHIPPING!! Siser Easyweed HTV 15"x9", 12", 1, 3, 5, 10, 25, 50 Yards FREE SHIPPING!! Siser Easyweed HTV 12"x12", 1, 5, 10, 25, 50 Yards FREE SHIPPING!! MAKE YOUR OWN 5-ROLL BUNDLE & SAVE 50%. CHOOSE COLORS! You will receive the exact sheet that is shown in the picture. These stickers will work with other types of planners like the Erin Condren, Happy Planner, Recollections, and TN's. This sheet size is 7.3" x 4.5". Sizzix Card Die ~ Regal Stand Ups!!! As fun and convenient as it is to browse through hundreds of photos online, there’s nothing like the feeling of cracking open a real photo album or scrapbook and thumbing through your favorite memories from days past. The art of scrapbooking involves making an album and decorating it with memories, paper crafts and even vinyl. Ready to get started? 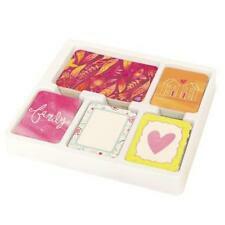 Find your scrapbooking supplies online through eBay. Most scrapbooks have a theme, whether a beach vacation, a family reunion or baby’s first steps. Once you decide on the theme and the images to go with it, the fun begins. The most basic of scrapbooking supplies is the album itself. You can go classic or modern or anywhere in between.Your next step is choosing some paper craft supplies, starting with the pages for your book. If you’re new to scrapbooking crafts, then you will be amazed at the variety of patterns available, from flower motifs to polka dots. If you’re really looking to get specific and add spice to your project, you can choose different scrapbooking paper for each section, or even each page. Paper craft supplies online are not just paper. 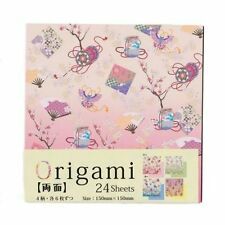 You can shop scrapbooking supplies on eBay, from origami paper to stickers (there are even emoji stickers!) to paper punches in order to create your own shapes. Add frames that accentuate each photo, fancy Washi tape to create borders, and if that is all too much to decide, then templates and stencils are a good beginner’s guide. 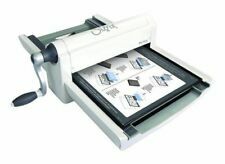 Once your skills have developed, consider investing in a Silhouette Cameo digital cutting machine. Another option: A Cricut machine, an electronic cutting machine that’s perfect for scrapbooking (and don’t forget the Cricut cartridge!). 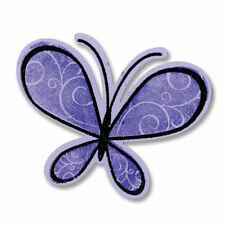 When you buy scrapbooking supplies online, you’ll notice that the sky’s the limit to your creativity. Scrapbooking kits are one of the staples of online scrapbooking supplies, but once you’ve branched out and started putting your own materials together, you’ll really notice your projects beginning to blossom. Keep the craft of scrapbooking fun by investing in some paper organizers—all those little strips and shapes can be used again—and you can even make your craft portable with specially designed scrapbooking totes with all kinds of pockets and compartments for glue, scrapbooking scissors and scrapbooking stickers. Finally, you can edit your photos and plan your projects before you cut with scissors if you add digital scrapbooking to your list of skills.